Hello guys, today i'll reviewing a contour kit by Kiss Beauty. Kiss Beauty is a Chinese cosmetics brand which makes affordable makeup products. Added the natural Jojoba Oil and oxidation resistant vitamin E to make smooth and perfect fit texture; apply layer after layer to cover pore, pock dots and black eye circle, also can bring you a wonderful moisturising effect for skin. 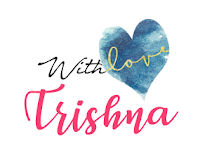 PRICE: Rs.349 with 5 year shell life. 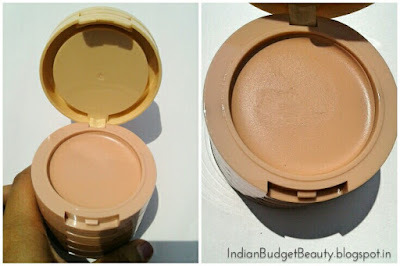 PACKAGING: The contour kit is placed in a cardboard box with all the details written over it. 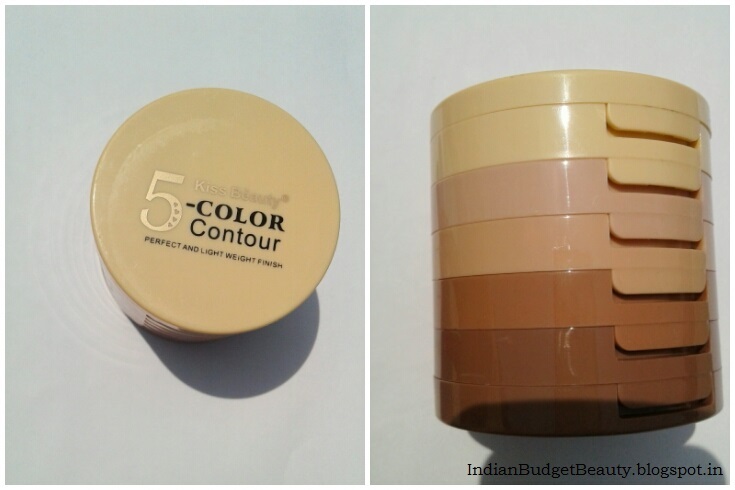 The kit is contains 5 contour and highlight shades placed in five different compartments placed one above the another. The first compartment contains a mirror as well, and the last compartment contains a sponge applicator. We can distinguish the products because the compartments are coloured in similar pattern as the contour and highlight product. The packaging is travel friendly. It saves a lot of space. SHADES: We get five shades and a sponge. 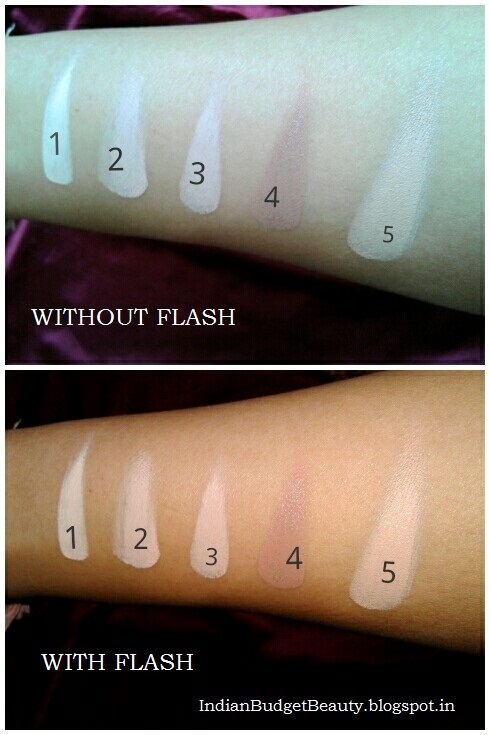 Shade 1: This is the lightest shade in the kit. 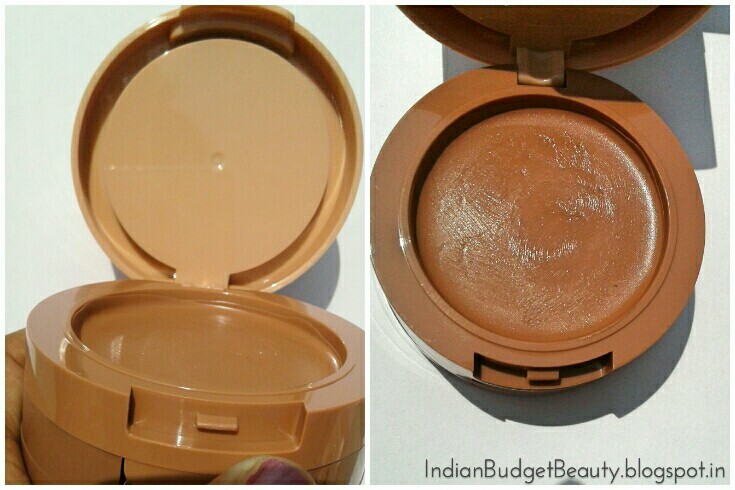 It can be used as a highlighting shade. Shade 3: This shade has yellow undertones to it and can be used to cover any blemishes or as a concealer under the eyes or even be used has a highlighting concealer if it is lighter than your skintone. Shade 4: This is the contour shade. 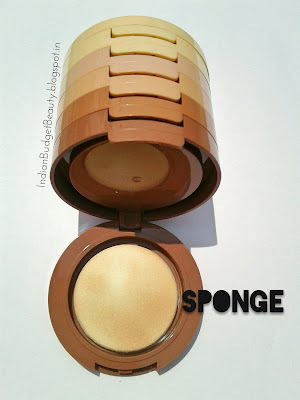 This is one or two shades darker than my skin tone so it can be used as a soft contour shade. 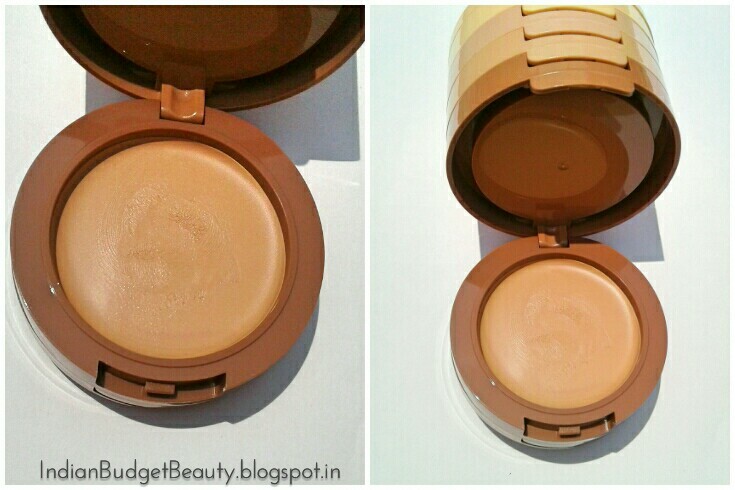 This shade can also be used as a bronzer. Shade 5: This has yellow undertones to it and is totally 'my skin' colour. 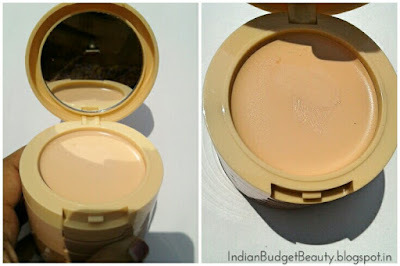 It can be used as a concealer under the eyes or to cover up blemishes. Last Compartment: The last compartment contains a sponge which is quite useful. The contour kit is very handy and travel friendly. 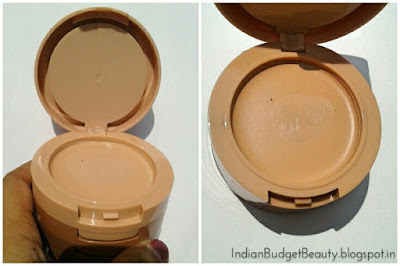 The shades blends easily and settles to a matte finish, so setting them with a powder is optional. They are very well pigmented as well. It creases crazily under the eyes so I'd not recommend you all to use this to cover up dark circles. 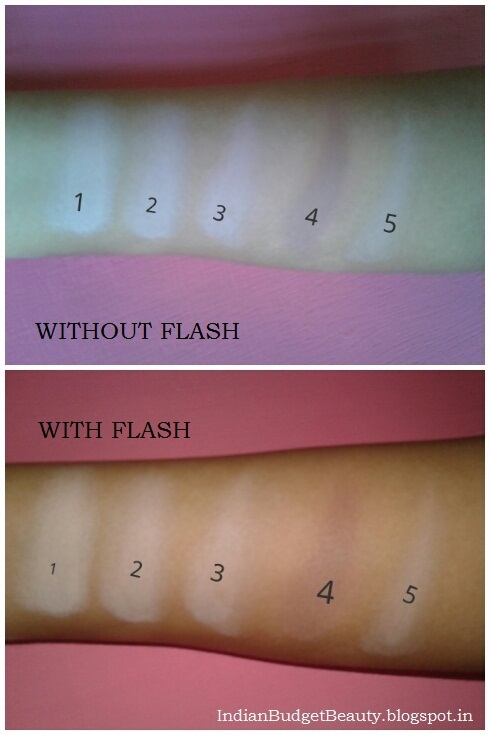 Without setting the shades, it lasts about 2 hours; and with setting powder, it lasts up-to 4 hours. Doesn't stay for long hours. 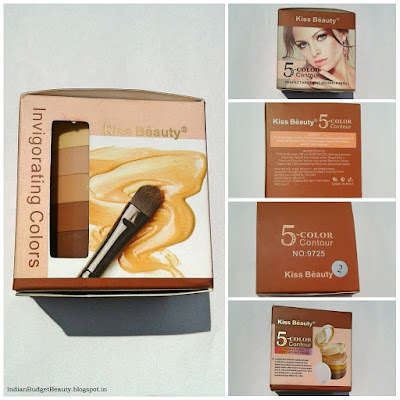 I would recommend this kit to all beginners at contouring who wants an affordable contour kit. 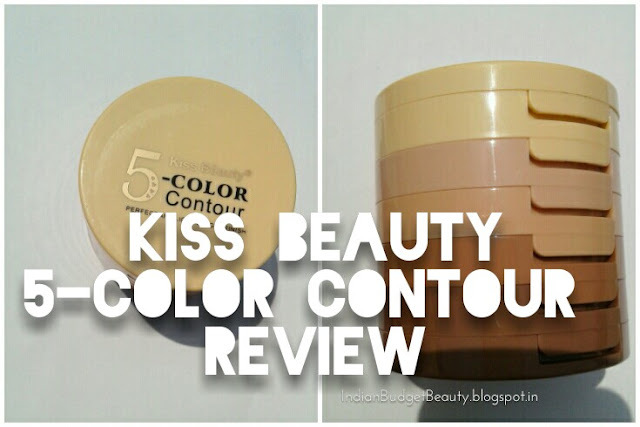 Thank for the topic (kiss-beauty-5-color-contour-review), it was very helpful to me.